Fullintel’s monitoring services are managed by dedicated media experts. Step 1. Your analyst performs a keyword search globally across print, online, broadcast, and social media sources. Step 2. Dedicated human analysts get to work on filling gaps (paywall or niche outlets) and eliminating noise and irrelevant coverage. Step 3. Analysts tag, score and deliver custom reports. Get a daily breakdown and see which outlets are giving you the best or worst coverage. Receive valuable, actionable data about media trends and coverage, delivered to your desktop and smartphone. Recieve custom, graphic-rich, daily news email briefs with headlines and article summaries. 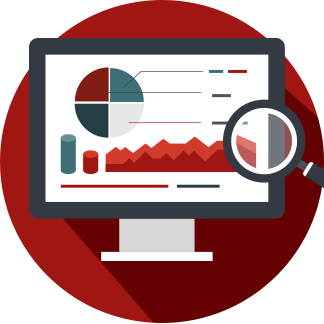 Expect detailed reports with custom analysis from our media expert that your executives will actually want to read. 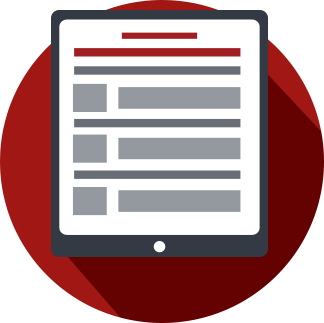 Our analysts dig further, monitoring requested sources and paywall-blocked content required to ensure that there are zero gaps in your media coverage. Log into your custom media monitoring application to view company-wide media results. Sort by category (i.e. company, product, issues, competitor, industry) to find only the results that are relevant to you and your department to get the information you need, faster. As part of our optional 24/7 crisis monitoring offering, analysts will consistently monitor for relevant stories providing three curated briefs through the day with the option of adding SMS or email alerts on breaking mentions. Learn who your influencers are to better understand their impact on your industry and their influence over your potential buyers. With Fullintel, your reports are curated by media experts, who go to painstaking lengths to ensure this time-consuming task is done for you. Our experts provide key takeaways through qualitative analysis allowing you to focus on getting the information that is most important to your organization. Daily media coverage highlights and summarized insights, handpicked for relevancy and delivered to your inbox at the start of your day.